The nation’s most iconic horse race is taking place this weekend. It’s a chance for racing virgins to place a bet on a rank outsider and watch with bated breath as their horse romps home at 100-1. Or at least that’s how we like to imagine the race will pan out. In practice, most winners of this incredibly tough race have performed well in previous races. Statistics show that the majority of winners have raced at Aintree before and have shown good form in key races in the run up to the Grand National. Of course, you might strike it lucky when you visit the 2017 Grand National Free bets page and pop a tenner on the horse named after your pet, but the odds are against you. Experts have calculated the top winners in the Grand National using a complex process that considers various statistics. Since horses racing in the Grand National are handicapped using weight, the weight of the horse was also a factor when deciding which horse would finish first in a virtual race with all previous winners. Red Rum, the nation’s favourite racehorse, came out on top. Red Rum is unrivalled in the steeplechasing world. This magnificent bay gelding won the Grand National three times, taking the title in 1973, 1974, and 1977. Thanks to his astonishing performance in the 1970s, the ailing Grand National was saved from extinction and resurrected to become one of the top racing fixtures in the world. This amazing horse was retired shortly after the 1978 Grand National, which he missed due to a minor injury. He died in 1995 and was buried beside the winning post at Aintree. Most people won’t have heard of Reynoldstown, as he was a winner way back in the 1930s. Irish-bred Reynoldstown was the first horse to win the Grand National twice, in 1935 and 1936. In the first race, Reynoldstown had an easy win, but in the following year, he was given the top weight of 12 stone and 7 Lbs. He probably would have come in second if it wasn’t for the fact that the lead horse, Davy Jones, veered off course on the second circuit when one of his reins broke. L’Escargot is a more recent winner and the only horse to achieve the double crown of winning the Grand National and the Cheltenham Gold Cup in the same year. L’Escargot is also notable for preventing Red Rum from winning three consecutive Grand Nationals when he won in 1975. Like many National winners, at 12-years old, L’Escargot was an older horse when he rewrote the history books in 1975. He first showed his form in 1973 when he placed third, before coming second to Red Rum in 1974, but in 1975 he hit the jackpot. L’Escargot was retired immediately after his victory and passed away in 1984, aged 21. We may not see the likes of Red Rum, Reynoldstown, and L’Escargot at this year’s Grand National, but we are bound to see some great performances. There are no guaranteed winners, but the tipsters say that Cause of Causes, Vicente, Highland Lodge, and Perfect Candidate are all in with a good chance. Check out which horses are running this weekend and read advice from expert tipsters. 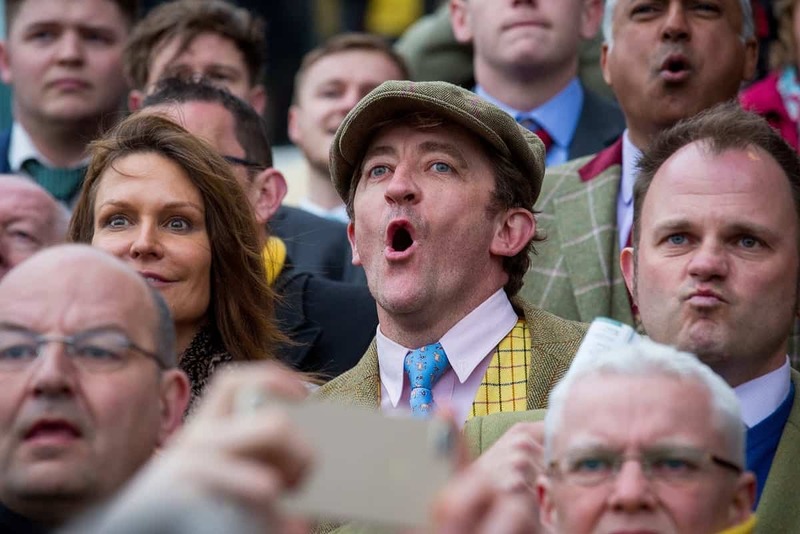 The Grand National is a tough race to predict, even for experts, but with a few insights from the experts, you can maximise your chances of picking a winner. For best results, place an each-way bet.